Folks, greetings from the Hill District, where its payday and Payday senior labor reporter Mike Elk is flat broke and hoping to see the Buccos take on the Phillies this weekend. 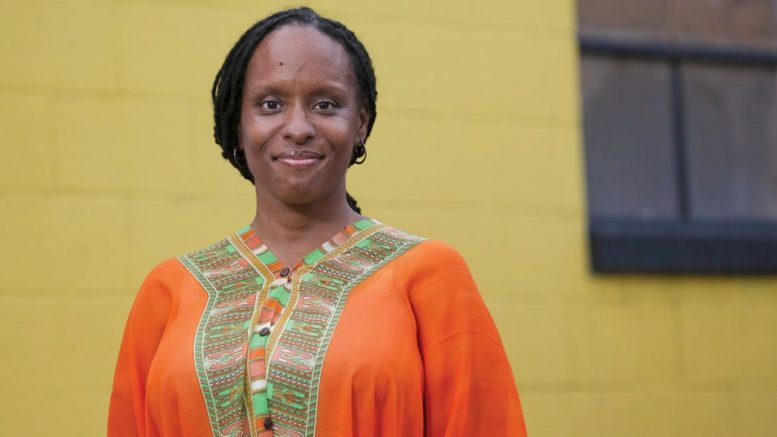 Yesterday, the Louisville Courier-Journal broke the big news that State Representative Attica Scott is seriously considering running against Kentucky Governor Matt Bevin in 2019. “I’ve definitely had a lot of people from across Kentucky, whether rural, urban or suburban and Appalachia, asking me to run and I’m seriously considering it,” Scott told the Louisville Courier-Journal’s Phillip Bailey in an exclusive interview. 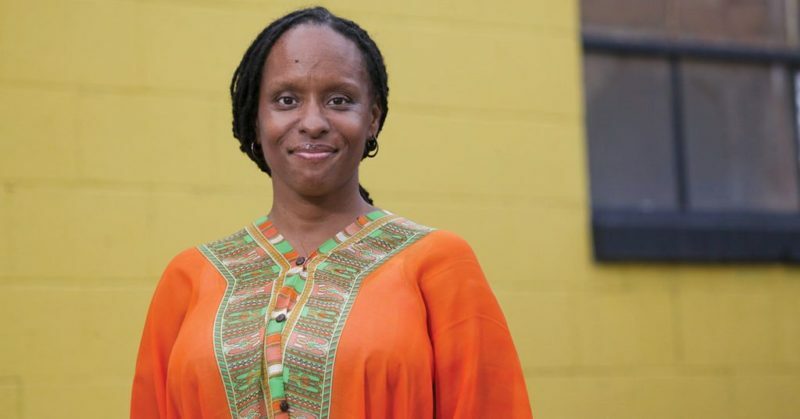 While some may write off the chances of a black woman like Scott running in a state like Kentucky, the former union organizer says she feels confident she could motivate unlikely voters, who feel left out of the system, to turn out for her. A progressive coalition of civil rights, labor, and Democratic socialists have found a great deal of success in Pittsburgh. In the last year, these groups have combined to defeat Democratic state representatives and a Democratic magistrate. Now a similar coalition is coalescing around the campaign of African-American Turahn Jenkins, a former public defender, who is challenging Stephen Zappala, a 20-year incumbent. Many activists say Zappala has failed to hold police accountable for misconduct while over prosecuting minorities. Jenkins says that he wants to change things. “People are hurting. People want answers. They feel like the system is not addressing the needs of the people,” said Jenkins in announcing his bid. Jenkins has already won the support of Summer Lee and Sara Innamarato, two DSA members who recently defeated machine Democrats to become state representatives. This week, over 8,000 teachers union activists meet in Minneapolis to steer the direction of Janus. The union says that it expects to lose 370,000 dues paying members as a result of the Janus decision. As a result of the cuts, the union plans to cut its budget by $50 million over a two year period. However, the union voted down a proposal that would allow community ally memberships in the National Education Association. Rachel Cohen of The Intercept was there to get the story. For more go to The Intercept. Last week, Payday senior labor reporter Mike Elk writing for The Guardian covered why the dangerous conditions of meat and poultry plants are about to get worse as the Trump Administration targets them for immigration raids. The new study comes as the Trump Administration is currently proposing to remove caps on the speed at which poultry plants can process hogs. The move has been protested by many in labor, who say it would lead to more injuries. The National Immigration Law Center and the Employment Law Project launched PlanforIce.com. The site is designed not just to give workers information on how to protect themselves in the event of a workplace raid, but it also educates employers on how to resist a workplace raid. On Sunday, New Jersey Governor Phil Murphy signed into law a new bill that would allocate $5 million to create a new non-profit Civic Information Center. A combined project of The College of New Jersey, Montclair State University, the New Jersey Institute of Technology, Rowan University and Rutgers University, the Civic Information Center, would be designed to help invest in non-profit news organizations to cover news in underserved communities in New Jersey. The first-of-its-kind bill in the nation, the bill signing was quickly praised by media activists. “Today marks a historic victory for all people across New Jersey. Over the last 18 months, residents around the state spoke out in support of the Civic Info Bill. Thousands signed petitions, called their lawmakers, attended community forums and participated in lobby days at the statehouse. Their stories about how communities have suffered from years of media consolidation were the driving force to securing millions of dollars that will strengthen local news and information in towns and cities across New Jersey,” said New Jersey State Director for Free Press Action Fund Mike Rispoli. For more on the Civic Info Bill and how other states can replicate them, check out Free Press’ website here. Last fall, Payday was the only media outlet to cover workers that were picketing the Washington Post for a fair contract. However, after 14 months of negotiations at the Post owner Jeff Bezos, the billionaire owner of Amazon, the union has reached a tentative deal on a contract. The contract includes only a raise of $15 a week for employees and only a 1 percent employer matching contribution for 401(K)s.
However, the contract takes away key security language that will force employees to sign away their legal right to sue in order to collect severance. In addition, the contract allows Post management to exempt 30 percent of the workforce from seniority rules in the event of layoffs. “The best we can say is that the Guild fought off several proposals that would have made your life much worse,” said the union in a statement to its members urging ratification. For more go to The New Yorker. The years-long effort to make Sorry to Bother You is a story of Riley, in a mid- to late-career reinvention with little precedent, risking self-sabotage in his refusal to cede creative control. It is a deeply anti-capitalist film portraying labor organizing tactics including work stoppages, walkouts, and strikes. It is set and shot in Oakland. It has an ensemble cast. And it’s backed by esteemed movie house Annapurna Pictures. It is also a comedy, inspired by magical realism, with jokes centered on horse dicks and a mansion full of white techies screaming the n-word after goading a Black man to reluctantly rap. Detroit (Tessa Thompson) is a sign-twirler and an artist who moonlights with something called Left Eye while creating an exhibition about the exploitation of Africa’s natural resources. Her boyfriend, Cassius Greene (Lakeith Stanfield), doubts its efficacy; she in turn questions his ascent on the call-center corporate ladder, imploring him not to use his new “white voice” at home. Also skeptical of Detroit’s art and its political export is Squeeze (Steven Yeun), a traveling labor organizer with visions of a broader rebellion. For more, go to the East Bay Express. Dillard enlisted the help of a prominent corporate public-relations firm, Selvage & Lee, to find others who might be committed to the cause. According to a trove of legal documents shared with The Nation by the UAW, their efforts brought together retired congressman Fred Hartley, who was notorious for spearheading what labor referred to as the “slave-labor bill”; Whiteford Blakeney, the nation’s premiere anti-union attorney (in later years, he would go on to help lead what one federal judge called a “full-scale war against unionization” at the J.P. Stevens textile plant against Crystal Lee Sutton, the real-life Norma Rae, and her coworkers); and representatives from GE, the Santa Fe Railway, and a host of Southern tobacco, manufacturing, and textile firms. At one of these meetings, Dillard told the group that “it was time for the businessmen to realize that [the union shop] was an awful threat to our country, to their operations, to business in general all over the United States.” The group resolved to form “some kind of organization” to deal with labor. By the third meeting, on December 15, 1954, the group (by then a collection of about a dozen true believers) had settled on a plan, at once simple and radical: Rather than continue to fight labor head-on, from the position of management, they would break labor from within. The key to this effort was an idea that had begun circulating on the segregationist Southern right for years and had recently been codified in a controversial provision of the Taft-Hartley Act of 1947 (crafted by the group’s own Fred Hartley). This provision, known as Section 14(b), allows states to pass “right-to-work” laws. Such laws permit workers to not pay any dues to a union that represents them in the workplace, and they are some of the most effective ways to defund and defang American labor from within. Go to the Investigative Fund to read the full story. Be the first to comment on "Attica Scott May Run for Kentucky Gov. – NEA To Cut $50 Million from Budget – N.J. Passes Landmark Local Media Bill"